Easter Sunday morning I preached on how the resurrection of Jesus redefines the word "hope" for Christians: hope means that even when the very worst has already happened - on Friday Jesus was dead! - God has the power to heal and restore and renew - on Sunday Jesus was alive. In other words, in Christ, we can have hope in any situation, no matter how broken, no matter how final. It's never too late for God to save the day. And Jesus is the living embodiment of that hope. 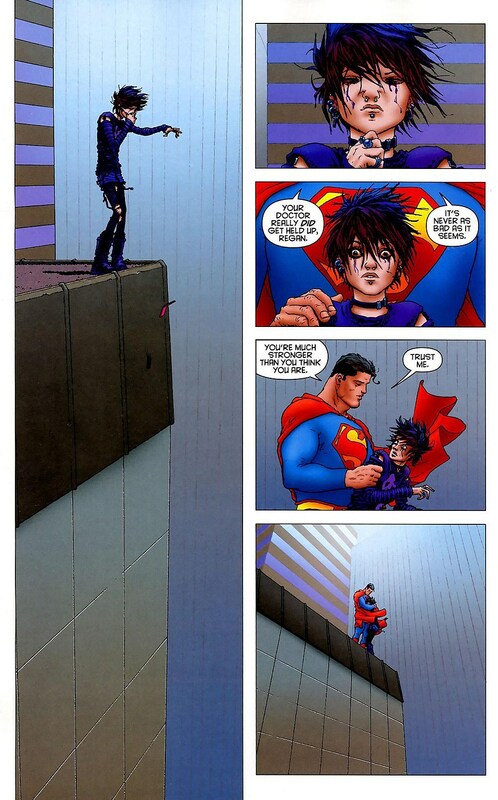 I compared Jesus that morning to Superman in Grant Morrison's classic story, All-Star Superman. In the story, Superman is the living embodiment of hope. He's saved the world so many times, defeated so many enemies, that when you see him you know that there's hope, that everything's going to be alright. As they've said in recent Superman films, the big 'S' on his chest is actually a symbol from the planet Krypton: it means hope. The writer is imagining a world where there's such a hope that even suicidal despair can look on it and take heart and hold on to life. The difference between Jesus and Superman is that Metropolis and the events there are fictional; Galilee, Jerusalem, Golgotha, and those events are not. Jesus actually did all of these incredible things - actually rose again! - and he did them in the middle of the real world. And so we have this hope as an anchor for our souls (Heb 6:19) in the real world, with all of its brokenness and suffering. I've been trying to remind myself of this ever since I read about the suicide bombing in Pakistan on Easter. The resurrection of Jesus means that no matter how it looks, no matter how many grisly acts of terror murderous extremists perpetrate, we are actually living in that world where there's hope. It must have looked pretty grim, pretty bleak, pretty hopeless to Mary Magdalene, weeping over Rome's bloody handiwork in the garden that Sunday morning... but then she heard Hope call her name: "Mary." Because God raised Jesus from the dead, we always have hope that things will be alright. If not now... one day. In the meantime, all we can do is look on him, our risen Lord, the living embodiment of our hope, and hold on.